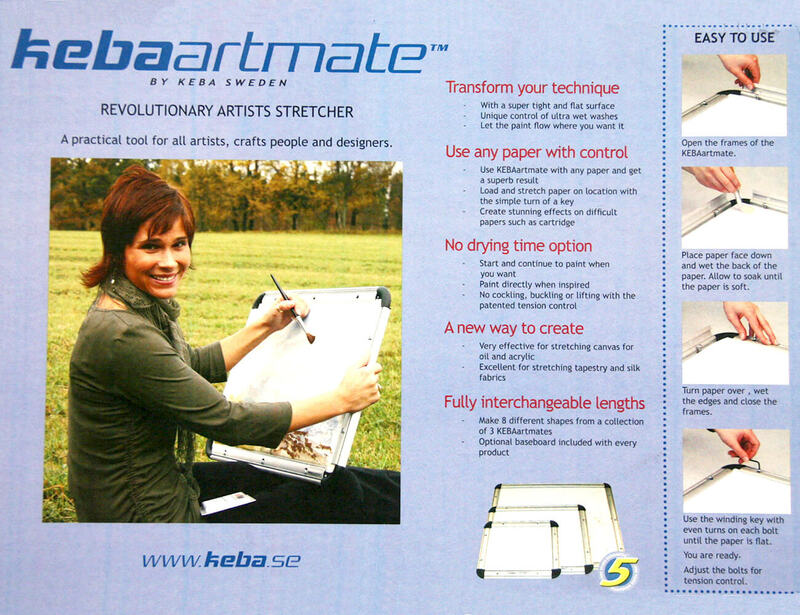 KEBA Artmate is a revolutionary artists’ stretcher from Sweden. 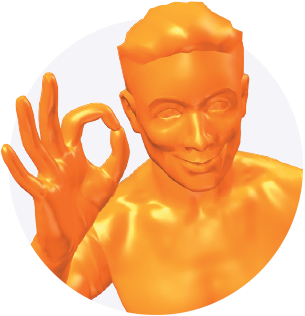 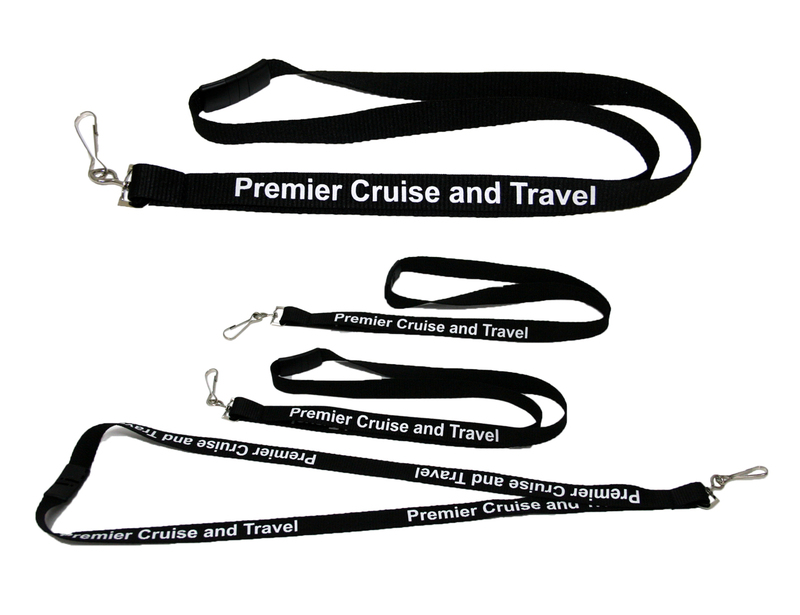 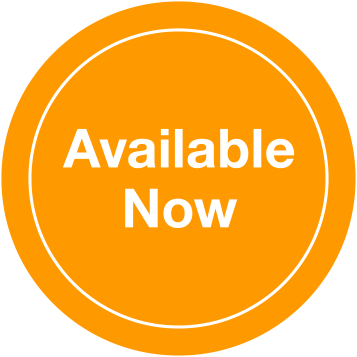 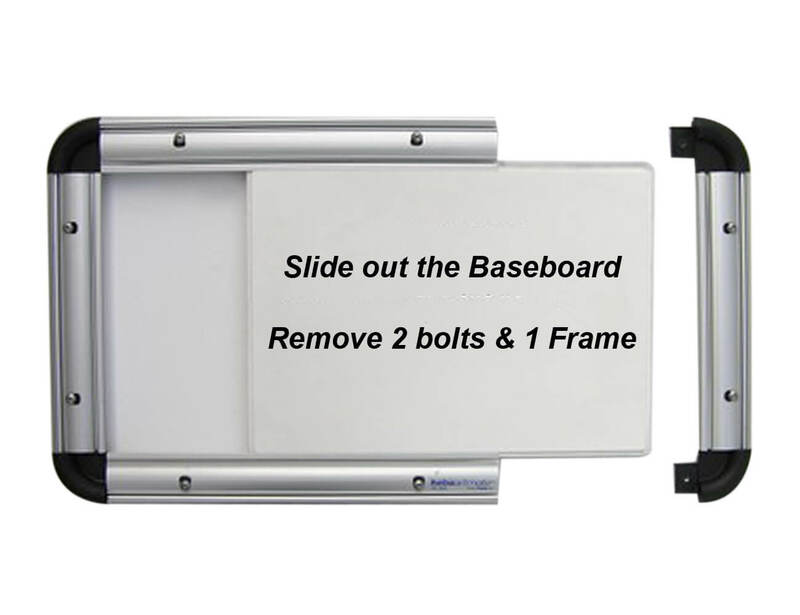 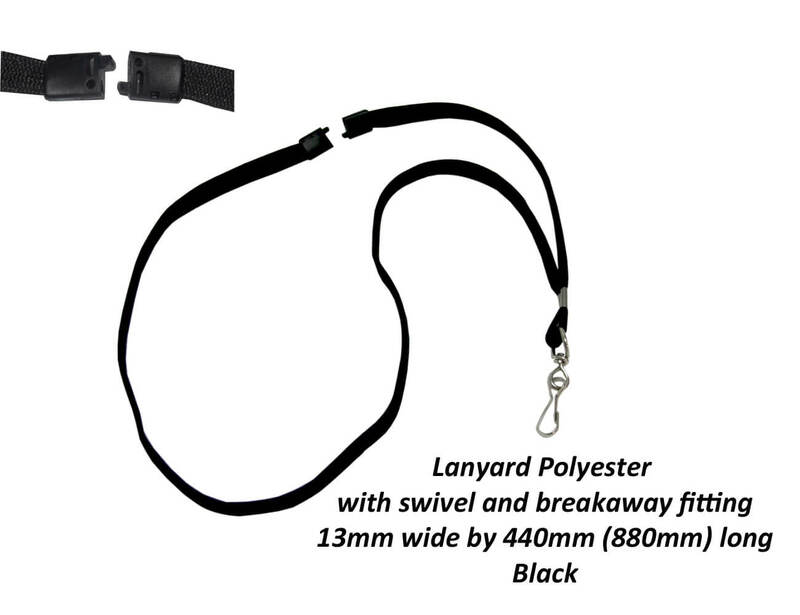 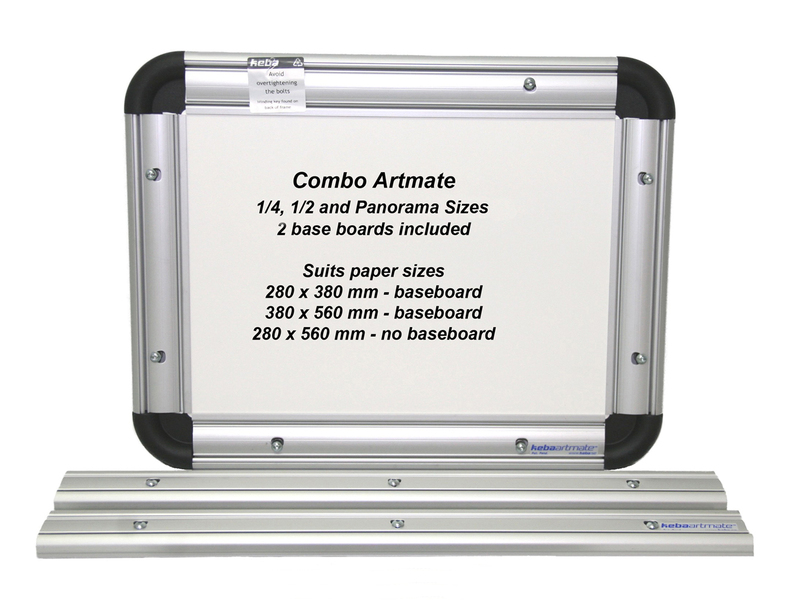 Made from quality lightweight anodized Aluminum. 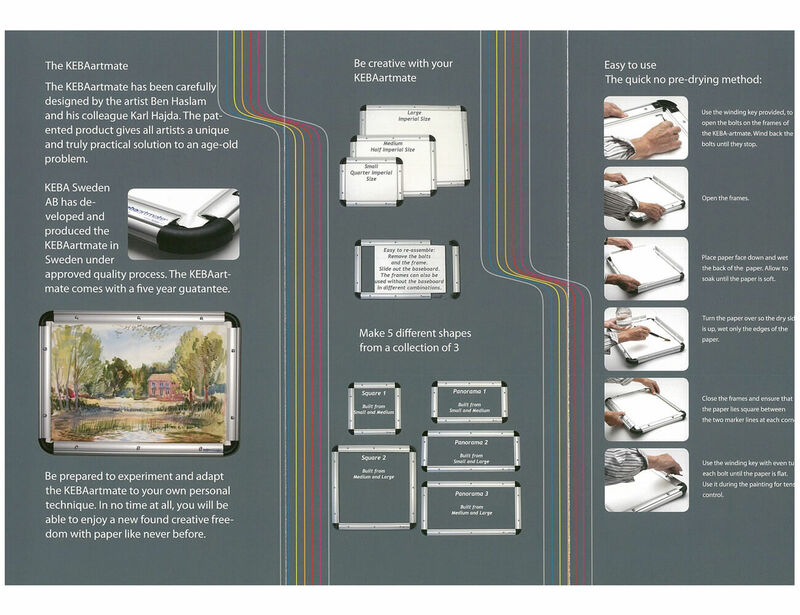 Carefully designed by artists to provide an easy to use and truly practical solution to stretching all watercolour papers including normally difficult papers such as pastels and cartridges. 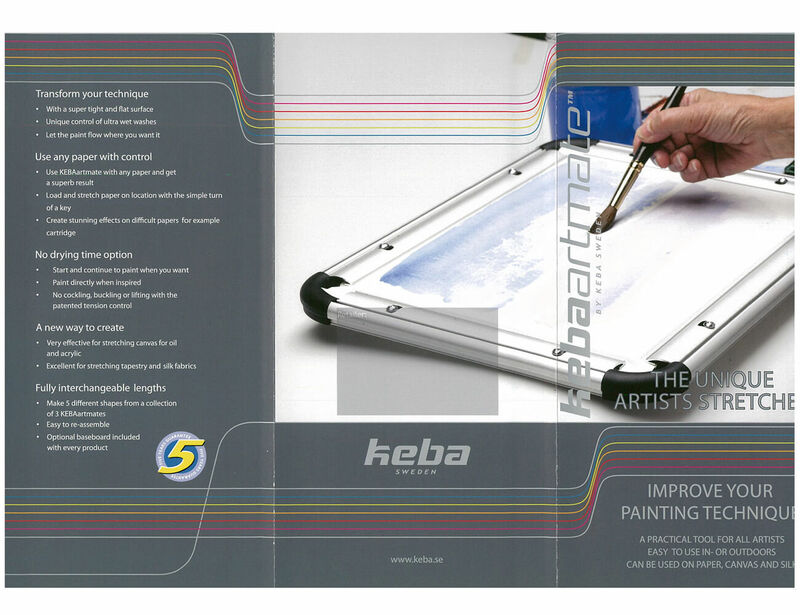 The KEBA Artmate is very effective for stretching pre-primed canvas for oil and acrylic and works excellent with tapestry and silk fabrics. 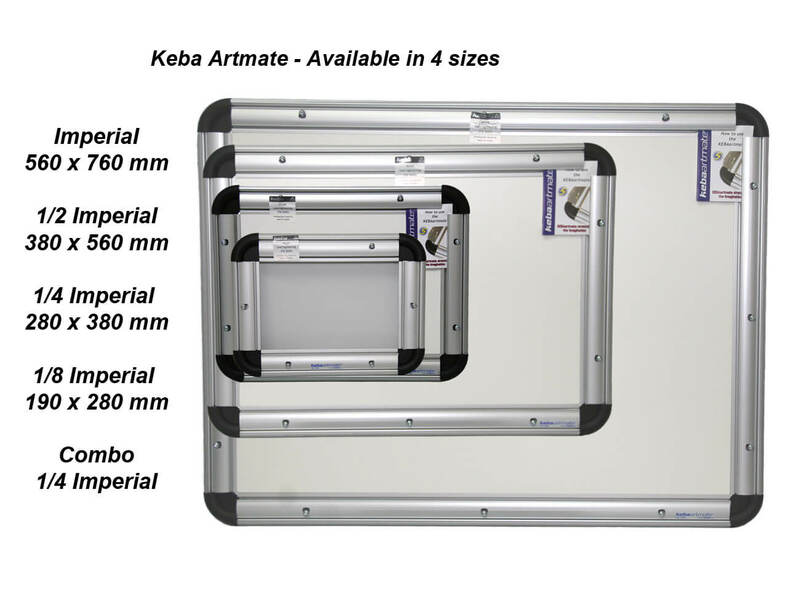 KEBA Artmate is available in a range of sizes and is even available in a combo set. 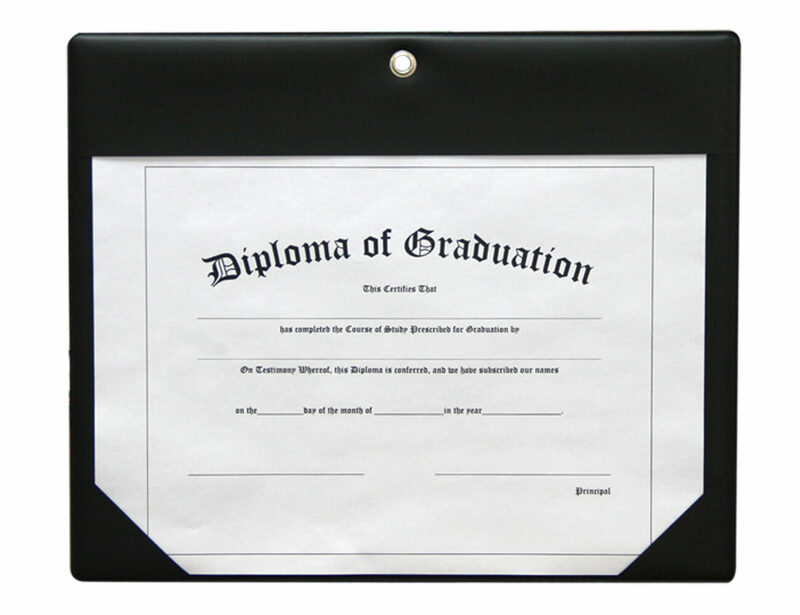 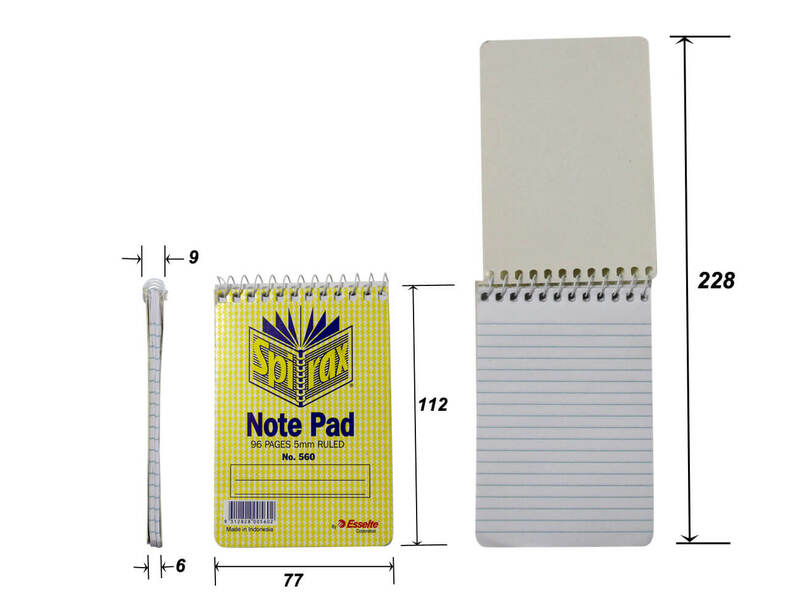 ** Ruler not included – shown in photos for scaling purposes only.